Why Should Pensacola Drivers Use Genuine Chevrolet, Nissan, Ford, Mazda and Toyota Parts and Accessories? 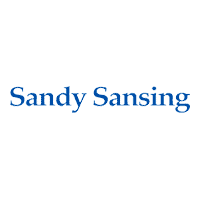 At Sandy Sansing Dealerships, we always strive to be the one-stop shop for the automotive needs of Chevrolet, Nissan, Ford, Mazda and Toyota drivers throughout Pensacola, Milton, Fort Walton Beach, Crestview, and Mobile. We’ll not only help you choose a new car but make sure that it performs safely and efficiently in all driving conditions. Part of that includes supplying you with Genuine Parts and Accessories to keep your car running like a charm! As industry experts, we know that factory-authorized parts and accessories is the only choice for drivers that take pride in their ride. After all, Chevrolet, Nissan, Ford, Mazda and Toyota Genuine parts and accessories have been specifically designed for your vehicle while that isn’t the case for off-brand parts. You’ll also enjoy 100% quality assurance and extended warranty coverage for all parts and accessories purchased at our store You won’t get the same level of quality or care should you choose to go with after-market parts! You don’t have to stress about car parts when you have your expert parts specialists to guide you throughout the process. We’ll have no trouble selecting an exact replacement part before our Service Center performs a simple installation. That way, your car will be as good as new in no time at all. You just have to fill out an online parts order form or visit us in Pensacola to get started right away!